See why 98% of our clients would recommend us. 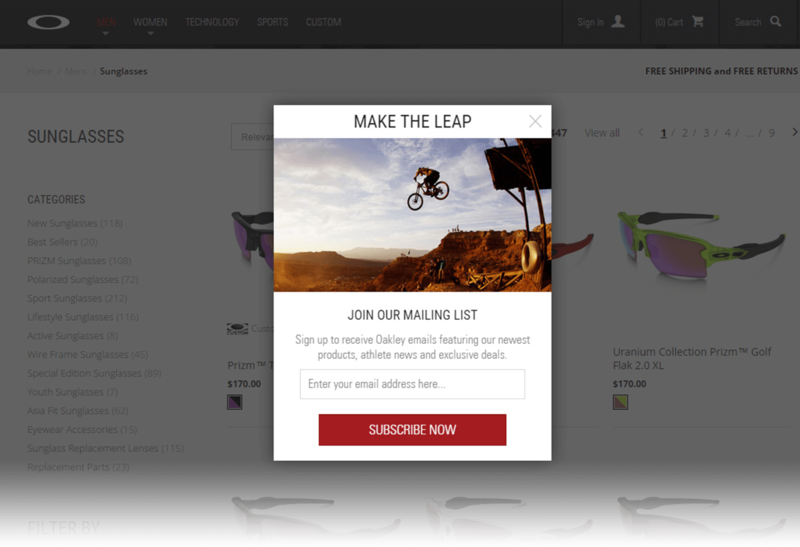 See how Oakley increased customer acquisition and helped curb cart abandonment. Oakley needed something different. Something unique. But something unquestionably effective. Instead of an ordinary campaign, we wanted to create a multi-touch approach. 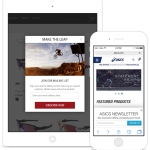 An on-site remarketing message, prompting the customer for their email address once they’re further into their buying journey and a multi-cycle email campaign, tempting those who have abandoned to come back and complete their purchase. 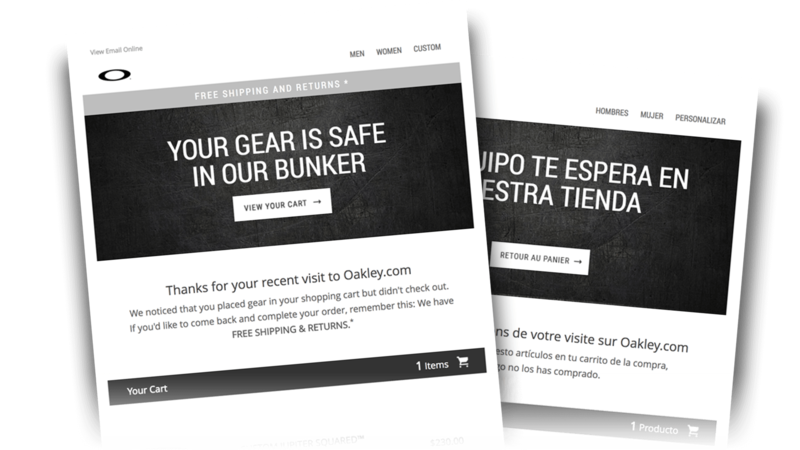 Oakley’s cart abandonment emails have an impressive open rate of 56% and even better, an average order value 58% higher than that from direct sales! 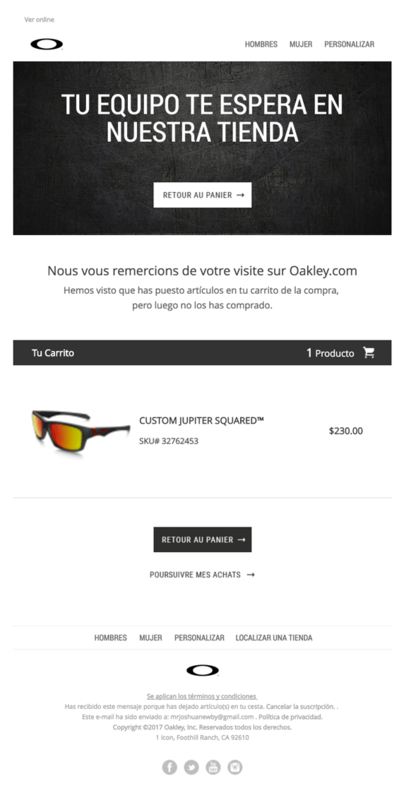 Oakley also increased the size of its customer database, with a 66% increase in email acquisition. It goes to show the power behind effective behavioral marketing, truly engaging visitors online and always reminding them why they came to your site in the first place. Here at Oakley, we partner with companies who are constantly innovating, pushing the envelope and obsessing over the details. That’s why we chose SaleCycle. On-Site Acquistion	The start of a beautiful relationship. Cart Abandonment Email	Bring abandoners back. Cart Abandonment Email	International creatives. The start of a beautiful relationship. The average email address is worth US$103 to marketers. Make sure you’re getting full value from your new visitors. Reconnect with your hottest prospects. It’s a fact; most shopping carts are left abandoned. Cart Abandonment emails enable you to reconnect with visitors who’ve abandoned their shopping cart; reminding them what they’ve left behind and tempting them back to complete the purchase. 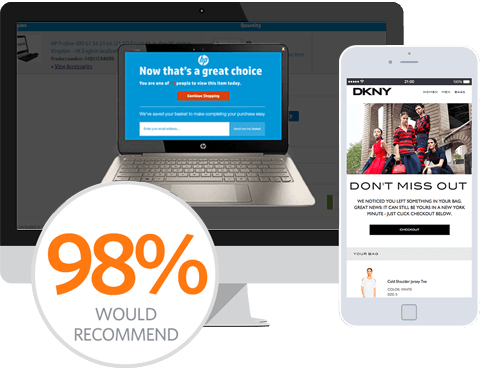 Find out why 98% of SaleCycle clients would recommend us. SaleCycle’s mission is to inspire, shape and support the conversions that exist within every customer journey. Stay up-to-date with the latest from our award-winning blog.